It is soon after that announcement, about 13 and a half minutes in, when Theresa May further declared that her government will adopt the International Holocaust Remembrance Alliance’s definition of antisemitism. There is a broad international consensus that settlement-building in the occupied territories is both illegal and a barrier to a negotiated resolution of the conflict. No one who is genuinely interested in securing a negotiated resolution of the conflict thinks that continued settlement construction makes a peace agreement more likely. One of the main reasons for continued construction is to establish de facto control over most of the territory that has been occupied while leaving less and less land for the Palestinians so that it becomes impossible for them to have their own state. If that continues, it sets Israel up to rule over a stateless, subject people in perpetuity, and that will be a disaster for all involved. If making an attempt to oppose that dreadful outcome constitutes “betrayal,” I shudder to think what loyalty is supposed to look like. Note that General James Mattis is Trump’s appointed Defense Secretary. Trump has also appointed Thomas Friedman as ambassador to Israel, and Friedman has compared Jews who criticize Israel with Jewish Nazi collaborators. But notice that that the IHRA’s definition of antisemitism appears to define such comparisons as worse than illegitimate. No-one wants to see another apartheid state. These are the warnings of friends of Israel, not her enemies. This is how we made peace with Egypt. Indeed. By withdrawing all occupation forces and illegal Israeli settlements from land captured in the 1967 war. But the Bible never really gave the Sinai to Israel, did it? Not that the UK and US are suggesting that Israel withdraw all settlements from the West Bank today. There is some irony, however, in the fact that the Egypt-Israel peace treaty signed on 26 March 1979 followed hard on the heals of the United Nations Security Council resolution 446, also condemning Israel’s illegal new settlement activity in the West Bank, adopted 22 March 1979 — again with the United States abstaining. The point is that it is Israel’s friends, nations opposed to antisemitism and pro-Israel in other respects, who are trying to save Israel as a Jewish state and a democracy, who are among those speaking out through the United Nations Security Council resolution 2334. If antisemitism is on the rise once again, and there are indications that it is, then it is encouraging to see that Israel does have such friends today who will speak out against the acts of an Israeli government under the influence of a radical right wing settlement lobby, and who will seek to bring Israel back from isolation into a community of nations made up of many good and strong friends. Professor of Moral Theology, Daniel Maguire, published How Israel Misuses the Bible few days ago in Consortiumnews.com. 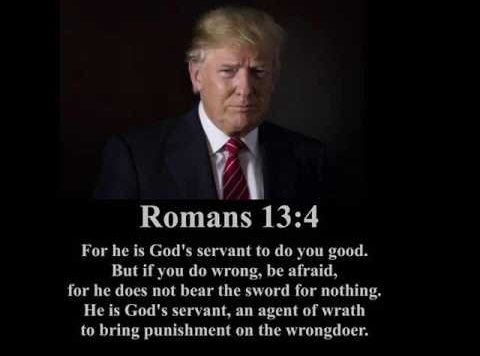 I agree with the political point of the article but not the attempt to rescue the Bible as if it has a halo that must be guarded from any blemish. People use holy books to justify almost any agenda they want. I have omitted some rather controversial historical details from the original article because I want the focus to be on the political and popular manipulations of sacred texts. I want to follow up with a very positive post about the future of Israel, and the last sentence quoted above is an excellent segue into that — notice the word “cure”! That’s in the Big Think article by Philip Perry, A Growing Number of Scholars Are Questioning the Historic Existence of Jesus, the same article Breitbart’s Thomas D. Williams views as an attempt by Jesus mythicists to undermine that foundation of Western values, Christmas. And David Fitzgerald even gets a mention with his book, Nailed. 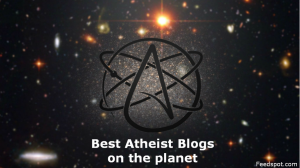 How could Ehrman be listed here under the title indicating he is one of the “mythicists”? And some online critics of Ehrman have pointed out that he fails to follow through on the logic of some of his own arguments. 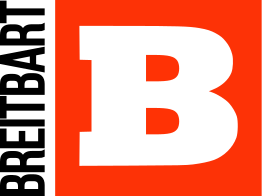 America’s alt-right news site, Breitbart, has lumped anyone questioning the existence of Jesus in with those seeking to destroy Western civilization by finding excuses to eradicate the celebration of Christmas from our cultural landscape. The author is Catholic theologian Thomas D. Walker PhD (follow the link to his homepage). 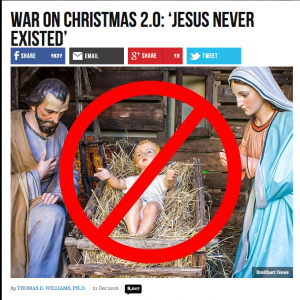 Anti-Christmas grinches have upped the ante in the annual war on Christmas, moving beyond opposition to Nativity scenes and Wise Men to denying the very existence of Jesus. Walker’s main counter arguments seems to be . . .
Perry fails to note the very obvious fact that we actually have very little evidence for anyone in the ancient world, especially if the person wasn’t an emperor, general or aristocrat. 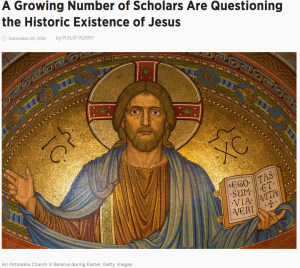 “The mentions of him by those writers are exactly what would we expect if someone like Jesus existed,” he observes. 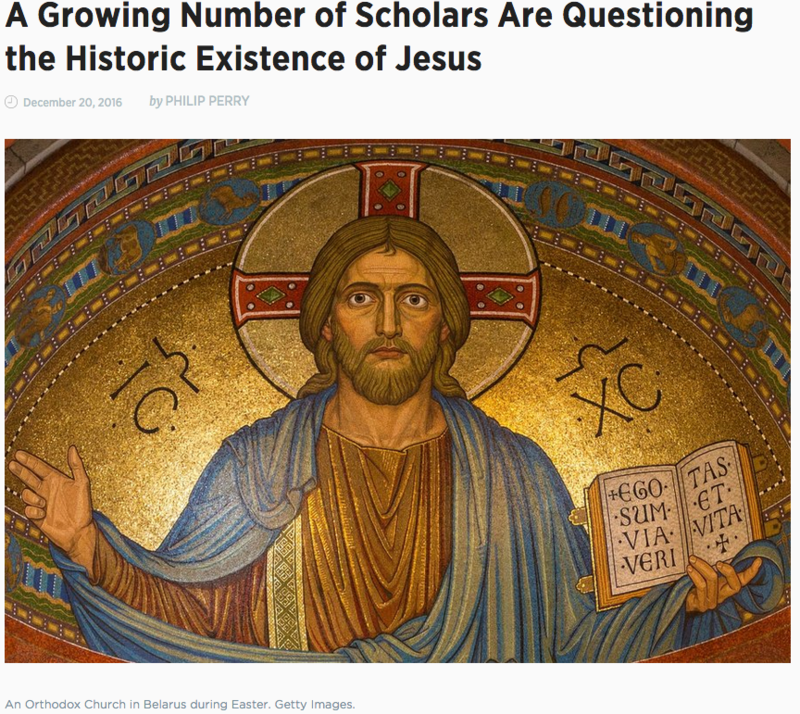 Anyone not aware of Tim O’Neill in this context can observe his level and style of argument in responses to an article by Valerie Tarico questioning the historicity of Jesus and published on several websites. I have also had several encounters with Tim on this blog and elsewhere and have invited him to a serious discussion of the question in any forum on one condition: that he refrain from abusive language and insult. He has evidently found the condition too onerous to take up. Tim is not a historian, by the way, any more than I am. We are both amateurs and I think I have more training in historical methods and certainly more knowledge of the methods and philosophies of historical inquiry and writing than he. His degree was in medieval literature, I believe. And an examination of Thomas Walker’s website indicates he has no background studies in history at all. I have not yet read Perry’s article, but will do so as soon as the chance arises. No doubt I’ll post more soon on both Perry’s and Walker’s articles. The French smoke because Americans don’t. Or at least that’s what they used to tell us, only partly joking. But nobody would injure himself just to spite someone else, would he? Seems unlikely. But if you skim the web looking for reasons why people smoke, beyond the typical reason (they enjoy it), you’ll find a surprising number say that they do it because they know it’s bad. If it annoys others, then so much the better. In a world where people have precious little control over their own lives, smoking can become an act of individuality and rebellion. When I heard him say that, I immediately thought, “I know this guy.” I grew up when mainstream beers in the U.S. were pretty tolerable. Did they become more watered-down and more bitter over the past few decades? I would argue that they did. Some of the low-calorie beers that people drink by the gallon every weekend barely taste like beer to me. Just the fact I admitted publicly that I hate cheap American beer shows that I’m outside of Rust’s circle. Only a fool would pay more than he needs to to get drunk. Only a snob would ask the bartender, “What’s on draft?” Authentic people see value in bad beer, bad coffee, and gummy white bread. Some of my recent reading . . . . 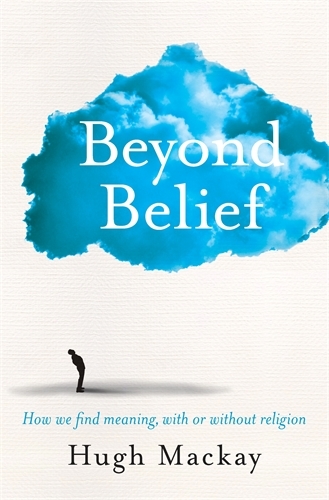 Updated: I forgot to include this one earlier. . . .
We’ve had predictions of the demise of religious belief before: around the turn of the last century, I think, and then in the 1960/70s, yes? 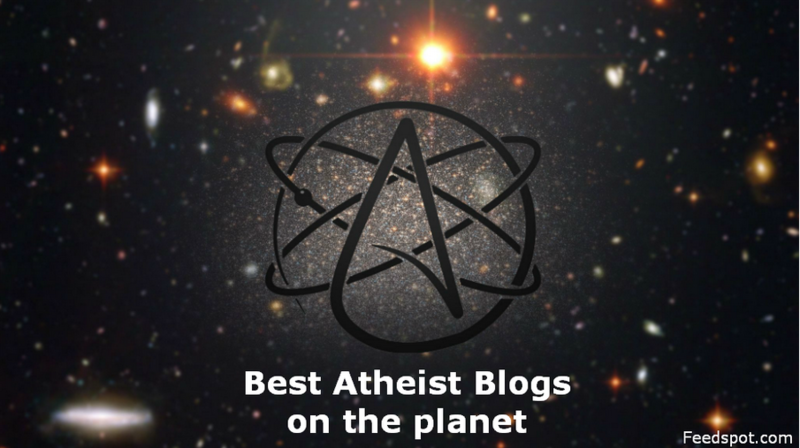 Atheism, Vridar and Blogging Research in Religion, History, Politics, Science. . . .
With Vridar’s addition to the Top 30 Atheist Blogs it is apropos to discuss my position on atheism and religion. This is a book about what has led us to be the way we are, and makes sense of our male-dominated, Judeo-Christian western society, its families, its values, and its wars. The book is semi-autobiographical. The work is divided into two parts – For Passion, For Heaven and The Great Confession. The first novel deals with the Western, pioneer influences and especially the sexual evolution (and psychological implications) for ‘Vridar’ (Vardis). His actual life was tragic with divorce and suicide. The second book describes an intellectual journey, in particular the research, reading and discussions undertaken before writing the Testament. Like Vardis Fisher what interests me is an exploration into what the scholarly research seeks to uncover about the nature of religion itself and why people embrace religious ideas. Simply attacking religion in today’s world “because it is irrational and bad” does not strike me as a carefully thought-through plan. 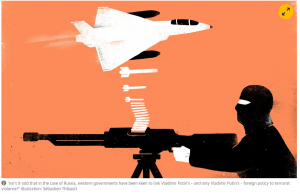 Rather than react viscerally to religion I am inclined to believe that a more productive exercise is to find out what we can “know of our enemy”. That means serious engagement with the specialist research. That’s why I find myself so often at odds with Sam Harris, Richard Dawkins, Jerry Coyne and others: they demonstrate over and over that they have not done their homework and instead of contributing towards public enlightenment they are doing more to fan public ignorance and bigotry. But don’t get me wrong. There’s certainly a place for exposing the dangers of particular religious groups and arguing for a more enlightened world, but let’s do it with some genuine understanding of what we are talking about and the psychology involved. For a brief while after leaving religion and still raw with the pain I had both experienced and observed I was feverishly hostile to the very idea of any religious faith. My bias was obvious to others and I could scarcely ignore it myself. A more productive path, I soon enough decided, was to try to understand why people embrace all kinds of religious ideas. It was not enough to simply say faith and beliefs in unseen powers are irrational and therefore stupid and dangerous. If religion is the opiate of the masses as Marx wrote then it is difficult to accept that every religious person is partaking of the same doses. Some are best described as being on mild aspirin, others on heavy narcotics. There is a range. Does a single explanation really cover it all? As for the posts on the Bible, ditto. There’s nothing “anti-Christian” or hostile about any of those studies. Again, what does the research tell us about the origins of our Judea-Christian heritage? That’s what interests me. Then we have politics, history, science — all from the same perspective of wanting to understand what’s going on. I have learned enough about history and the media to know that news reports very rarely provide an understanding of the issues. News reports tend to act more like buttons that switch on public prejudices. National identities are often grounded in myths, the exposure of which can have the potential to foster more civil societies. To understand what’s going on and how we got to where we are is the main preoccupation of this blog. I’m looking forward to a personal change in circumstances soon that will enable me to devote more time to reading and blogging ideas that should not be confined to the limited readership of academia. Nothing is more essentially “Biblical Israel” than its Twelve Tribes. Genesis is for most part the story of the origins of these twelve tribes. The history of Israel is a history primarily of the tribes of Israel, mostly twelve at first, but then divided into two kingdoms of ten and two. One of the tribes was assigned for the priesthood and therefore not given a territorial allotment, but two of Joseph’s sons were each given land areas to maintain the all-important twelve inheritors of the land while the sons of Levi became a thirteenth tribe. Always twelve, though sometimes ten and sometimes thirteen. So very “biblical”, yet so very Greek as known about Athens and various Greek colonies from the writings of Plato and Aristotle housed in the Great Library of Alexandria. It’s a fascinating observation. Gmirkin’s argument is as follows. See also Deuteronomy 4.5, 14; 5.31; 6.1; 12.1; cf. 11.2 and Joshua 13, 15-19, 21. But people move. Families need to find better opportunities elsewhere when conflicts increase and resources decrease. A tribe defined by a geographical region is likely to be a fictive kinship group. What we see here are two concepts of tribes. In one instance a tribe is identified by a geographical area; other times a tribe is understood to be kinship group descended from a common ancestor. Gmirkin’s study is a more methodical and in-depth exploration of some of the close similarities between Plato’s Laws and the Pentateuch that I happened to post about earlier, a study initially inspired by Wajdenbaum’s Argonauts of the Desert. Both concepts sit side-by-side in the Biblical account. Unknown in the Near East, perhaps, but well known in the Greek world. Just as Joshua is said to have done, Greeks who set out to colonize new regions were depicted as first conquering a new territory and then dividing it up equally (compensating for areas of different quality). Scribes were appointed to mark out the different allotments that became the basis of tribal units. As in Israel, a primary concern of many comparable Greek colonies was to guarantee the inalienable right of land ownership and avoid an impoverished landless class or debt slavery. So much for the ideal, and it was an ideal that was espoused both by Plato in his Laws (3.684e and 5.736c) and Aristotle in his Politics (2.1266b and 6.1319a). The reality was that attempts to so redistribute land led to conflict. New colonizing expeditions sometimes set out with the same ideal in mind to be the foundation of their new society. As in the Greek world we see in the Bible the same ideals, methods and functions of the tribal systems (a combination of fictive tribes based on geographical area that in fact cut across kinship groups and real tribes): land was to be divided equally according to different needs and quality; scribes were appointed to mark out the land allotments and divide them among the people; the allotted land was to be inalienable; the tribes became the basis of various administrative functions including military enrollment. As in both Athens (after late sixth century reforms) and biblical Israel citizens were identified by both their tribe and home district (village in Israel; the district or deme in Athens). Each tribe in the Greek world was assigned its eponymous god while in Israel, as we know, we have the twelve eponymous patriarchs. Interestingly Greek tribal divisions, both in Athens and various colonies, were by tens or twelve. Variations of both were found in Athens. Did the Greek ideals then become the basis of the biblical political-economy? Gmirkin thinks so and I suspect he’s right. The arguments goes beyond the kinds of points in common that I have mentioned above. What I find especially significant is Gmirkin’s point that quite unlike anything found in the literature of the Near East is the common interest in the Bible and Greek philosophical literature (Plato’s Republic, Laws and Aristotle’s Politics) with the establishment of an ideal state. When this common interest that extends to discussions of ideal geographical boundaries and specific administrative divisions and then when we go on to find the particular ideal solutions to these questions overlapping, I believe Gmirkin presents a strong case. 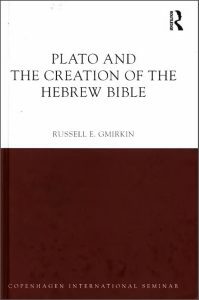 I originally wrote the following as an introduction to my next post on Russell E. Gmirkin’s new book, Plato and the Creation of the Hebrew Bible. On reflection, it was too long to be part of a post addressing the book so here it is a separate introductory post instead. 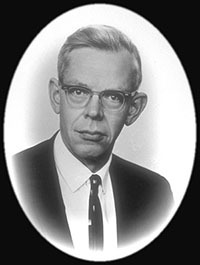 That was written by Dale C. Allison when he was arguing that the evangelist who composed what we know as the Gospel of Matthew was inspired by the story of Moses when he composed his particular Jesus figure. If it is difficult for many readers to accept that the figure of Moses was woven into the lineaments of Matthew’s Jesus, how much more difficult might it be to accept that much of the Pentateuch and other works in the Hebrew Bible/Old Testament were modeled on the literary, philosophical, political and cultural worlds of the Greeks? . . . . only in special cases does there exist a tradition about a given literary production independent of the self-witness of the literary production itself; and that the person who utilizes a literary-historical tradition must always first demonstrate its character as a historical document. General grounds of probability cannot take the place of this demonstration. This circular process [that is, assuming a self witness of a document is true and then arguing the document is true on the basis of its self-witness] places the composition of the literature within the period of which the literature itself speaks. This is precisely how the period to which the biblical literature refers becomes also the time of composition, the ‘biblical period’, and the biblical literature, taken as a whole, becomes a contemporary witness to its own construct, reinforcing the initial assumption of a real historical matrix and giving impetus to an entire pseudo-scholarly exercise in fining the literature into a sequence of contexts which it has itself furnished! If either the historicity of the biblical construct or the actual date of composition of its literature were verified independently of each other, the circle could be broken. But since the methodological need for this procedure is overlooked, the circularity has continued to characterize an entire discipline—and render it invalid. Anyone can write a story pretending its narrator really lived in a time long ago. This can be done for any number of reasons . . . Testing the claims of our sources is not hyper-scepticism: it is the most fundamental rule of historical inquiry. In other words, anyone can write a story pretending its author really lived in a time long, long ago. This can be done for any number of reasons ranging from entertainment to philosophical or religious instruction. Every witness in a court of law is required to establish its credibility, first at the outset by pointing to verifiable independent external witness and/or then under cross-examination. That’s not “hyper-scepticism”. Testing our source documents is common sense and the most fundamental rule both of any form of detective work and historical inquiry. It is also fundamental to basic literary analysis and criticism. It seems obvious to most scholars that our estimate of the age of a certain book of the Old Testament must be founded on information contained in the book itself and not on other information, and the estimate should certainly not be based on the existence of a historical background that may never have existed. Although seemingly self-evident, this method is not without fault, and it may easily become an invitation to ‘tail-chasing’, to quote Philip R. Davies. By this we intend to say that the scholar may soon become entangled in a web of logically circular argumentation which is conveniently called the ‘hermeneutical circle’ . . . . Another point is that it is also supposed that the reading of a certain piece of literature will automatically persuade it to disclose its secrets — as if no other qualifications are needed. The first point to discuss will be the circular argumentation that is based on a too close ‘reading’ of the biblical text. Here the first example will be the books of Samuel [containing the stories of Kings Saul and David]. Some assume that these books must be old simply because they say that they are old. The exegete who claims that the books of Samuel must perforce be old will . . . have to accept the claim of the books themselves by either rather naively assuming that Samuel could be the author (as the later Jewish tradition did proclaim) or by more sophisticated argumentation, for example, of the kind formerly often used to prove narratives like the ‘Succession Story’ to be old because only an eye-witness would have been acquainted with the particulars of the family of David. How to escape this circularity? Scientific procedure or its reverse? So after the above preliminaries hopefully those for whom the idea that even the Pentateuch and other books in the Old Testament could possibly be late Hellenistic works appears to be outlandishly novel are a little more amenable at least to its possibility. I have presented aspects of the opening chapters of Russell Gmirkin’s Plato and the Creation of the Hebrew Bible in previous posts; one more will follow soon.